Dust off your tape players, folks: cassettes are still making a comeback. A number of independent artists have already leveraged the classic format, and Metallica is looking to join the bandwagon. 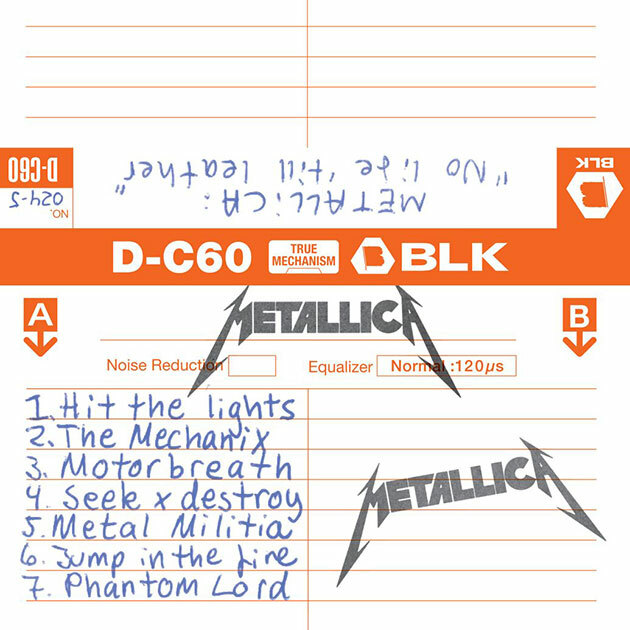 The metal act recorded the seven-track No Life 'Til Leather demo back in 1982, and the effort will be released on April 18th as a limited-edition cassette. If you tossed out that boombox a long time ago, the remastered tunes will be available on CD and vinyl this summer. This is the first time that any of the band's demo material has been officially released, and it's the first in a series of reissues planned through Blackened Recordings, a Metallica-owned label. "It's time for us to put out some next-level reissues and do the song and dance of the catalog that everyone else has done; the U2s and the Led Zeppelins and the Oasises," drummer Lars Ulrich told Rolling Stone. "Instead of starting with Kill 'Em All in 1983, we figured we'd go back another two years to when the band was formed in 1981." Personally, I'm hoping the remastered version of Master of Puppets isn't too far off.